AdminSixsigma – Concept Business Excellence Pvt. Ltd.
Concept Business Excellence Pvt. Ltd.
"Your partner in creating High Performing World Class Organization"
How to effectively plan training budget? Welcome to Six Sigma Concept! Nital on How to effectively plan training budget? 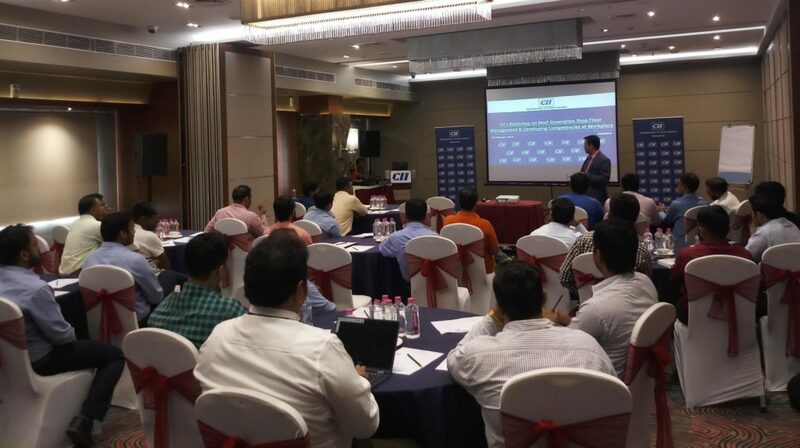 Next Generation Shopfloor Management at CII Vadodara was delivered by Nital Zaveri. Content of the program were: Digitization of shop floor management IOT / AI / Big Data and Industry 4.0 Smartness in Smart Factories, Smart cities, smart products and smart services Various systems used in a manufacturing plant and their role in an Industry 4.0 world. Opportunities, challenges brought about by Industry 4.0 and how organisations and individuals should prepare to reap the benefits. Program was divered through case studies, videos and activities to engage participants. Proud moment for our client Power Build Pvt. 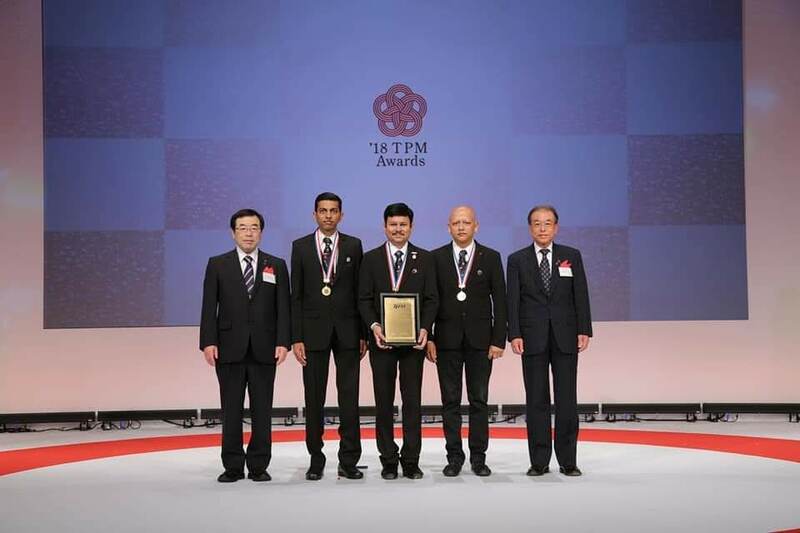 Ltd. for receiving TPM EXCELLENCE AWARD …We started this journey as a consultant way back in 2014. Congregation to Team Power Build…. Do you think training / learning and development activities are necessary for your organization? If yes, do you get adequate Return on Investment (RoI) on these training activities? 1) 90% companies responded that Learning and Development activity is a top priority for the company. 3) Only 8% companies measure Return on Investment on training. 50% of the training budget must be spent on post training activities instead of 5%. In an another research done by Dr. Brent Peterson in Columbia University suggested that training budget spending and it’s value are not aligned properly. Your training budget may not be effective, if it doesn’t consider above facts. This may eventually lead to less or no RoI (Return on Investment). 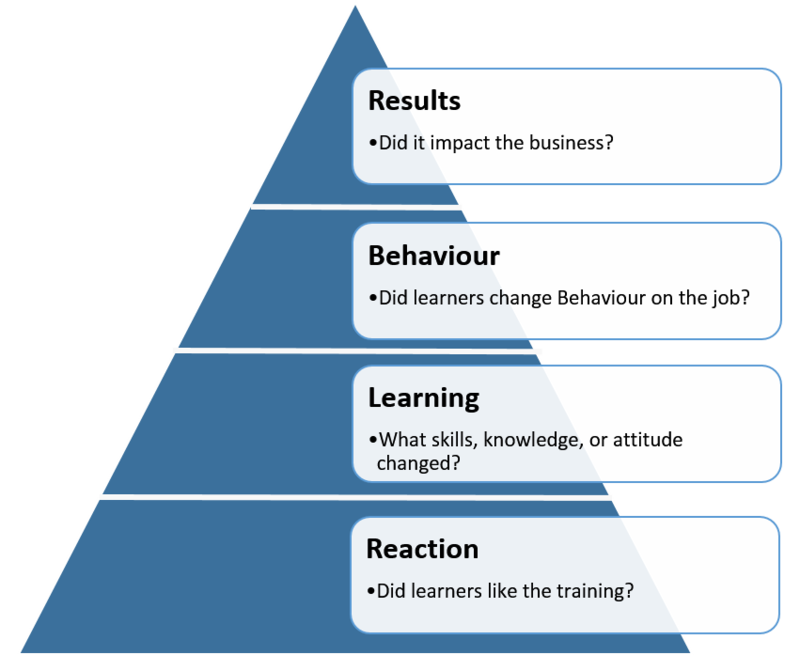 How organizations should measure training effectiveness? Dr. Donald L. Kirkpatrick was Professor Emeritus at the University of Wisconsin and Honorary Chairman of Kirkpatrick Partners until his passing in May of 2014. Don is credited with creating the Kirkpatrick Model, the most recognized and widely used training evaluation model in the world. According to his model, training effectiveness can be measured in four levels. Solution 1: Change the process of traditional training. Link training to improvement projects. Instead of identifying training need first, look at the top problems or priorities of the organization. Convert problems or opportunities into doable projects. Decide training topic and faculties who can bridge these gaps. Identify target groups who are required to solve these top priority problems. Create a project charter (a two page document) that describes problem statement, goal statement, team, timeline and tangible / intangible savings expected from an improvement project. Have this charter signed by various stakeholders and participants. Download template here. Divide training into logical steps / phases. Impart training in pieces. Monitor progress of improvement project and participant’s learning and move further. Have multiple intermediate reviews to evaluate whether entire process is yielding result or not. Support participants to implement the learning with use of internal or external mentors / coach. This will increase their confidence and ensure that participants are working in the right direction. Mentor / coach will help to convert transnational knowledge of the participant into a transformational. To more click here. Solution 5: Use E-learning (Blended Learning) to reduce training cost and increase flexibility. Use professional E-learning platforms wherever possible. Most of the organizations are facing it difficult to ensure availability of the participants for traditional classroom training. E-learning provides a flexibility, as it can be accessed anytime, anywhere and on any device. The best idea is to blend classroom and E-learning. This will ensure that your training days in classroom are reduced at the same time cost is reduced. To more about this click here. Pr@ining™ is a unique approach developed by Concept Business Excellence Pvt. Ltd. based on 20 years of experience of supporting organizations for improvement. 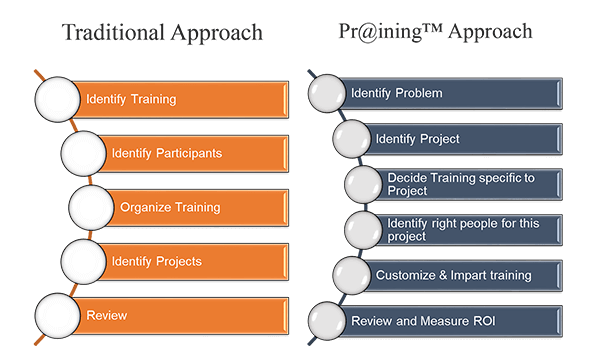 Pr@ining™ is a Practical, Project Oriented, Performance based Training which transforms your training budget in line with Dr. Brent Peterson’s suggested model to get maximum ROI (Return on Investment). The focus of Pr@ining™ is to transform employees from Problem Reporters to Problem Solvers. This is more sustainable than achieving just temporary improvements. For more details click here. 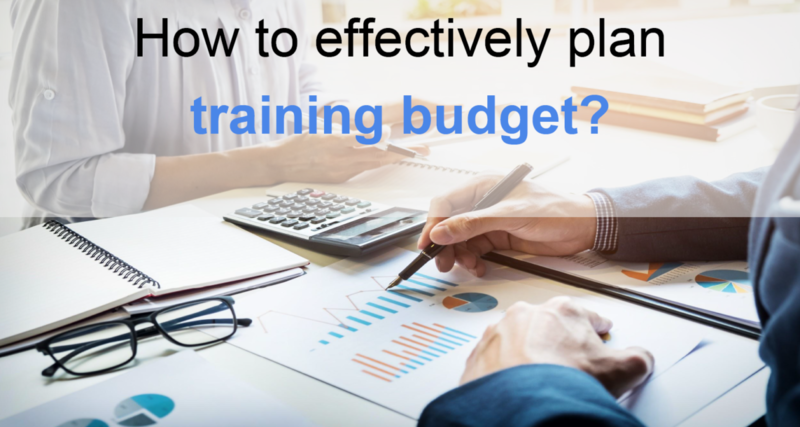 View Video on How to plan training budget. Posted on January 9, 2019 April 14, 2019 1 Comment on How to effectively plan training budget? Concept Business Excellence Pvt. Ltd. is one of the largest & professionally managed business consulting company of India. We help our clients make lasting improvements to their operations and their culture which results in improvement in organization’s profitability. Since the inception in 1998, now CBEPL is the trusted brand in the market who has partnered with their clients in solving their critical business and operational issues/problems. Through our support organizations have reaped the sweet fruits in terms of increase operational efficiency, productivity, quality, delivery performance, employee happiness and reduction in cost, Lead Time, Inventory, Breakdowns, Wasteful activities, Fire fighting situations. Over the years we have delivered ROI 1:10 to our clients and the cumulative benefits that go beyond the financial dimensions. Posted on March 22, 2018 December 24, 2018 Tags Demo TagLeave a comment on Welcome to Six Sigma Concept!